A study in Leviticus 5-7 from our Midweek Service at Harvest Fellowship. A study in Leviticus 2-3 from our Midweek Service at Harvest Fellowship. 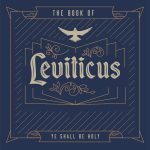 A study in Leviticus 1 from our Midweek Service at Harvest Fellowship. 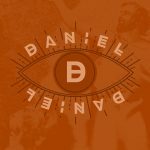 A study in Daniel 11:36-45 and Daniel 12 from our Midweek Service at Harvest Fellowship. A study in Daniel 11:1-35 from our Midweek Service at Harvest Fellowship.